There is a real issue of perception of elitism, and it is one of ironies of our society that junk food being sold by multinational corporations like McDonalds and Kraft appears to be populist, and food grown by struggling, scrupulous farmers is regarded as elitist. And I think there is something wrong with this picture, that those agribusiness companies have seized the populist high ground. When you look at how that supposedly cheap, populist food is produced, it’s dependent on government handouts, it’s dependent on the brutalizing of workers and brutalizing of animals, and it suddenly appears in a very, very different light. The discussion occurs at about 31:00 minutes into the interview. Pollan’s comments notwithstanding, it remains the case that much of the sustainable and local food system in the U.S. supports those with solidly middle to upper-class paychecks. This has bothered me for years. We have seen renewed food systems that we cheer come into existence in recent years, but we too often fail to acknowledge that the growing gap between the rich and the poor is precisely what has made this possible. Who doesn’t love a Niman Ranch hog farmer? But these farmers that we love to love produce meat for high-end markets on the coasts. Certainly, this is better than producing hogs in confinement for export or growing corn for unmitigated biofuels production. But a local food system that caters to and relies upon a growing wealth disparity leaves too many of the social ills that we set out to address untouched. That being said, Pollan, as he is apt to do, offers a concise and effective rebuttal to the “local food as elitist” argument. In fact, it is best rebuttal I ever recall having heard. My little brother sent me the below photo of our family farm this evening. He found it online at an aerial map service. I remember the aerial photo of my family’s farm that my grandparents used to have hanging on their wall. They paid an aerial photographer for it. Apparently such expensive endeavors are no longer necessary. The photo below is not as high quality as the photo that used to hang on my grandparents wall, but this one was free. The pictures is oriented as you would a map. The greenest square in the southwest corner is the yard and house. To the north and west is the machine shed. Directly north of the house is the barn where my grandpa milked cows and where my family has raised sheep, pigs and beef cattle. To the north of that yet is a feed yard and the old silo, unused for decades. To the east of the silo are a couple of open front livestock sheds. North of the silo and those sheds is the grove of trees planted to protect the farmstead from cold north winds. To the east of the yard and house is the shop and the corn crib that we shelled ear corn out of until I was in high school. The larger white building to the north of the corn crib and to the east of the silo is the insulated winter farrowing building what we bought second hand and moved on site while I was in college. To the east of the farmstead sits four hoop houses for hogs. We built all four from the ground up with little or no hired labor, completing the first and west-most one in the fall of 1998. I still distinctly remember finishing it on crisp fall days while listening to market reports on the radio as the price of hogs crashed. We poured a shorter concrete slab in the front of that building and used plywood for the walls. Who could justify more expensive concrete and tongue and groove sidewalls with hogs at eight dollars a hundred weight? I think we took one year off before building the next three hoop houses in three consecutive years. The third and fourth were purchased used. Their previous owner tore them down, opting instead to build more confinement facilities. I remember talking to him as he told me that the hoop house “just didn’t fit with his business model.” I think he had tried to pack hogs into them as dense as he did in his confinement buildings, and was disappointed with the results. Soon there is a good chance there will be no more hogs in those hoop buildings. That’s a story for another blog post though. In our next post, Iowa Senator Tom Harkin will write about his hopes for the 2007 Farm Bill. A story in yesterday’s Des Moines Register offers some policy-context to parts of his post. Talk of agriculture often dominates discussions about the farm bill, but yesterday Philip Brasher wrote about another sort of battle brewing in the debate over the 2007 Farm Bill. A battle could be brewing between the House and Senate on an issue that seldom gets much attention in Congress – rural development. The chairman of the Senate Agriculture Committee, Sen. Tom Harkin, is preparing a series of rural development proposals, including funding for water and sewer improvements, venture capital and even child-care centers, that would increase federal spending by $2 billion over the next five years. A mandatory program must be included in the federal budget each year. Spending for other rural development programs in the House bill would be left to the discretion of congressional appropriations committees. By contrast, all of the $2 billion in new rural development money that would be in Harkin’s legislation would be designated as mandatory spending, according to his staff, which provided a description of his plans. “We need to help communities help themselves to create quality jobs and an improved quality of life,” says Harkin, D-Ia. Harkin’s proposal provides money for rural water and sewer systems which currently face a large funding backlog. It also includes money for constructing and maintaining rural hospitals, assisted-living facilities and child care facilities. The proposed legislation designates $100 million for microenterprise loan programs for people looking to start a new rural businesses, and $200 million over five years for value-added grants. These are important programs for rural America, and critical after years of farm consolidation and rural out-migration driven by unlimited farm payments in the Commodity Title of the bill. But the fight won’t be easy. 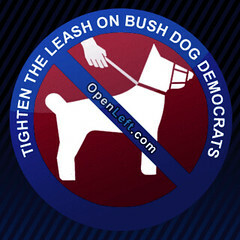 Harkin has allies in the Bush administration for at least some of his ideas. In threatening to veto the House farm bill, the White House specifically cited the lack of funding for rural hospitals and infrastructure, among other reasons. I will be watching the debate unfold, and hoping Harkin holds out for a full $2 billion in mandatory rural development spending in the 2007 Farm Bill. A couple thousand miles and 40 years of living somewhere else separate me from Laurens these days. Yet it always will be my hometown â€“ a special slice of Americana in which my roots always will be deepest. I grew up in Laurens in the 1950s-60s era when â€œThe Busiest Little Town in Iowaâ€ had a bustling downtown of businesses that included furniture, menâ€™s clothing, a movie theater and three grocery stores. 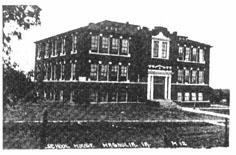 Laurens also had an industrial base back then that included M & JR Hakes and Iowa Industrial Hydraulics; a golf course on land that once was an airport and its own consolidation-free school system. Jobs for Laurens kids of that era involved roll-up-your-sleeves summer tasks like cutting corn out of the beans and baling hay. Or you could bag groceries at Donâ€™s Clover Farm or Hinnâ€™s Super Value, pump gas for the locals (because self-service stations were years away from reality) or car-hop at the Dairy Bar or Lucky Luchsingerâ€™s Drive-In. For younger kids on bikes, there were newspaper delivery routes around town, offering the Des Moines Register, the sister-paper Tribune and the Fort Dodge Messenger. I remember all that about Laurens, no doubt romanticizing its significance because nostalgia can do that to you. Laurens is located in Pocahontas County. The county has been losing population every decade since Rick Davis was a boy. The population of all of Pocahontas County in 1950 was 15,496. By 2000 it had dropped precipitously to 8,662. In the years since the 2000 census Pocahontas County lost population faster than any other single county in the state. Today there is no furniture store and no movie theater in Laurens. The town probably counts itself as lucky to still support one grocery store, and tales of three (including one that was open 24 hours a day) were just that by the time I was growing up in Laurens. 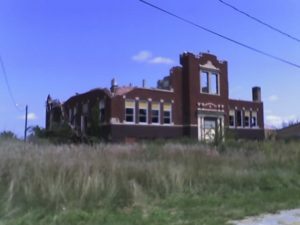 I graduate from Laurens-Marathon consolidated school, and I fear that the school will soon be consolidated once more with yet another dying town nearby. This is the story of rural communities across much of the country. Rick Davis reminds us that it hasn’t always been this way, but then he laments that he is likely being nostalgic. However, it is important to remember, one can be nostalgic for very good reasons. Laurens probably was a better place when it thrived in the ways Rick describes, and we should work to reinvigorate it – and all of rural America – to thrive once again. Why is the League of Rural Voters Shilling for Corporate Interests? The League of Rural Voters is going to bat to support the proposed merger between the only two satellite radio companies – Sirius and XM. I wrote about this puzzling dynamic at some length a few weeks ago. You can read that analysis here. After I first wrote, the League of Rural Voters issued an additional press release and a report on the merger (pdf). The report seeks to rebut the argument that the proposed merger between Sirius and XM is similar to the proposed merger between satellite television providers Echostar and DirectTV. The FCC rejected that merger citing concerns over a lack of competition, consumer choice, and diversity of viewpoints in the market. In the latter half of my original post on this topic, I wrote about the rejected Echostar/DirectTV merger and its relation to the proposed Sirius/XM merger. The League of Rural Voters (LRV) today released a new analysis drawing clear differences between the DBS [Direct Broadcast Satellite] market in the 2002 Echostar/DirecTV attempt to merge, and the expanding, competitive audio entertainment market in the SIRIUS/XM merger. In doing so, LRV reaffirmed its support for the proposed merger between SIRIUS Satellite Radio (Nasdaq: SIRI) and XM Satellite Radio (Nasdaq: XMSR). I am not going to do a detailed analysis of the report right now. I will say this though, it certainly does not read like a report that vigorously examines the issue, and then draws a conclusion based on sufficient evidence pointing in one direction. Rather, it summarily dismisses each point from the Echostar/DirectTV case with very little real analysis of the issues at hand. But I want to leave the conclusion of the report aside for now. There are more interesting things going on here. Of primary interest to me at this point is why the League of Rural Voters cares so much about this issue. The League has published a grand total of of 5 press releases since October of 2006, and two of them have been about their support for the Sirius/XM merger. They only list one other report on their website. This is not a group that runs around issuing press releases and reports on everything under the sun of possible interest to their cause. The League’s support of the proposed satellite radio merger represents a significant part of their work this year. So, why satellite radio? The question simply baffles me. It is a Farm Bill year, after all. The Farm Bill is arguably the piece of legislation of most interest to rural issues, and it only comes up for debate and changes once every five years. One might think the Farm Bill would be of interest to the League of Rural Voters. However, on their website they have only a “Coming Soon” message on their 2007 Farm Bill page. Why does the League of Rural Voters feel compelled to spend time fighting to allow a merger of Sirius and XM radio, but lack the time to develop even a single page on their website about the 2007 Farm Bill? The LA Times ran an excellent opinion piece on the proposed merger and the role of interest groups in the process. While the whole story is quite interesting, the final paragraph is the kicker for us tonight. Got a big business deal in the works? Start lining up interest groups. Worried about the proposed merger between the XM and Sirius satellite radio services? So are more than 70 members of Congress, Consumers Union, the Consumer Federation of America and the American Antitrust Institute, among other groups. The article goes on to discuss this phenomena — whenever regulators are set to make an important and controversial decision, a “swarm of advocacy groups representing a rainbow array of ethnic groups, regional interests and other constituencies” emerge out of the woodwork to comment. Some of them weigh in on their own accord. For example, Consumers Union and Consumer Federation routinely take positions on mergers involving telecommunications services (and, typically, oppose them). But other groups step up to the microphone at the behest of parties most affected by the government’s action. It’s become part of the game: If you want the Federal Communications Commission (FCC) to bless your merger, as XM and Sirius do, you line up as many grass-roots allies as you can. Your opponents do too. Given the stakes involved, it’s not surprising that the process has been abused. [snip] There’s also the practice of pouring money into supposedly independent research groups, then trotting out studies that, amazingly enough, support their benefactors’ point of view. [Grassroots groups have] also helped XM and Sirius advance an argument that the publicly traded services can’t make themselves: that the two companies are too weak to survive as independent entities. That’s one of the points made by the Minneapolis-based League of Rural Voters, which joined the debate at the behest of XM and Sirius. It released a report last week that argued the merger was fundamentally different from the proposed merger of satellite TV providers DirecTV and EchoStar, which the FCC unanimously rejected in 2002. Niel Ritchie, the league’s executive director, admitted that “the XM guys did this particular study,” but he said he agreed with its conclusions and was happy to put it out under the league’s banner. Well now. The League of Rural Voters didn’t find their interest in satellite radio on their own. They entered the debate at the “behest of XM and Sirius.” And that not-so-balanced report (pdf) published by the League of Rural Voters was actually written by the corporate interest under scrutiny for their proposed merger. I double and triple checked. There is nothing in the report that indicates any authorship other than the League of Rural Voters. I’ll leave it there for tonight. You all can draw your own conclusions from those last pieces of information. Drought-plagued farmers who canâ€™t afford to irrigate could get some help in the near future if an amendment sponsored by a local congressman becomes part of the 2007 Farm Bill. The demand for water and competitive pressures on that water are almost certain to be one of the most significant forces that will shape agriculture over the next 100 years. … This special report will examine how climate change is affecting business, and how business can affect climate change. It will concentrate on industrial emissions rather than on agriculture and deforestation (which produce lots of carbon dioxide without involving business much) but will leave out air travel, on which this newspaper will publish a special report in two weeks’ time. Pardon? Agriculture … doesn’t involve business much? My cranial hamster wheel wobbles on its very axis; it threatens a total derailment. Are these people stupid, lying, deranged, or merely hard toking the hash that’s been flooding Europe since the US invasion of Afghanistan? Maybe they decided to write the preface to this special report during their annual editorial off-site in Amsterdam. I am not qualified to say with certainty which explanation is correct, but as you can see, my suspicions in this regard run towards the lurid. Read the full post over at Pacific Views. Natasha is right. Agriculture today is increasingly, and in many countries solely, about business. Natasha offers somewhat regular agriculture commentary. She should write about agriculture more often though. The Associated Press reported this week that twice as many Iowa high schools are looking for teachers for their agricultural education programs this year than there are potential candidates graduating with the appropriate degree from Iowa State University. The same is generally true in other states as well. A national study on agriculture educators indicated 40 high school ag departments across the country shut down last year due to the lack of a qualified teacher. Low pay compared to the business world and the urbanization of America are blamed for the shortage. Miller hopes several steps recently taken by the state will attract young people into the profession. Those efforts include boosting teacher salaries, providing sign-on bonuses and using student-loan forgiveness programs. I graduated from a small school district in Iowa with a declining number of students and a dwindling number of students enrolled in the agricultural education program. Not only will my high school face the challenge of finding a new teacher for the position someday, but it will also face the challenge of continuing to justify a full time position for a limited number of students interested in agriculture. I suspect the same is true at many small, rural districts across the country. Furthermore, the districts that will face the most challenges attracting, retaining, and justifying full time agricultural education teachers are the districts where maintaining such programs is both most critical and holds the most promise for attracting students serious about a future in farming. So, I have a proposal for Iowa State University. Establish a program that will allow local farmers to go back to school part-time to become agricultural education teachers in their local districts. Utilize the current extension service to reach out to potential candidates, and to deliver initial instruction. Follow that up with a combination of distance-based learning and short periods of intensive instruction on campus during farmers’ off-seasons. Who could be better suited to train and mentor the next generation of farmers than one or two local farmers who work as part-time agricultural education instructors at their local school? Even just off the top of my head, I can think of several farmers I know who would make excellent teachers, and I bet some of them would jump at the opportunity to do so. While loan forgiveness, higher pay, and sign-on bonuses are all ways to attract the needed professionals to rural communities, we must also think outside of the box and turn to our local resources when seeking to solve the challenges facing rural communities today. I am a democrat (notice the small d) who believes that the soul of democracy is representative government. It’s our best, although certainly imperfect, protection against predatory forces, whether unfettered markets, unscrupulous neighbors or fantastical ideologies, foreign or domestic. Our best chance at governing ourselves lies in obtaining the considered judgments of those we elect to weigh the competing interests and decide to the best of their ability what is right for the country. Anything that corrupts their judgment, whether rigged elections or bribery masked as campaign contributions, is the devil’s work. Here is that populist party platform in full. Steph Larsen, a Policy Organizer with the Community Food Security Coalition, is joining Rural Populist as a new contributor. Larsen will write occasional posts on agricultural policy, the current farm bill debate, and whatever else strikes her as thought-provoking. Fort Madison, Ia. – Democratic presidential candidate Hillary Clinton introduced her campaign to rural Iowa Monday… promoting her agenda as the same as small-town America’s. “There’s a lot we can do, and obviously we need a new goal of revitalizing the rural economies of America,” the New York senator told about 200 southeast Iowans. Pity the thousands of unionists at last Tuesday’s state Democratic convention who chanted her name… They would have dropped their forks if they had heard that Hillary served for six years on the board of the dreaded Wal-Mart, a union-busting behemoth. If they had learned the details of her friendship with Wal-Mart, they might have lost their lunches. She didn’t mention Wal-Mart… As she was leaving the dais, she ignored a reporter’s question about Wal-Mart, and she ignored it again when she strode by reporters in the hotel lobby. During her tenure on the board, she presumably helped preside over the most remarkable growth of any company until Bill Gates came along. The number of Wal-Mart employees grew during the ’80s from 21,600 to 279,000, while sales soared from $1.2 billion to $25.8 billion. As part of Hillary Clinton’s gamble with the board of Wal-Mart, she supported trade policies that sent often previously rural-based manufacturing jobs overseas. She had oversight over a company that offers jobs void of health care and other essential benefits. And perhaps most poignantly, Hillary Clinton played a key role in a company that uses anti-competitive practices to drive small rural businesses under—leaving boarded over windows up and down main street in rural communities across America. That is no way to revitalize rural America. A Washington Post analysis found that the U.S. Department of Agriculture’s Rural Development program sends billions each year to areas that bear little resemblance to the isolated, rural regions where the program started in the 1930s. Over the past five years, for example, the program has funneled more in grants and guaranteed loans to major metropolitan areas of more than 1 million people ($10.9 billion) than it has to distressed rural counties ($8.6 billion). The analysis was based on more than 150,000 actions reported to the government-wide Federal Assistance Award Data System by Rural Development from 2001 to 2005. The system contained actions totaling $64 billion, about 90 percent of all of the grants, loans and loan guarantees awarded by the three agencies that make up the program. The Post’s review found that an additional $8.8 billion was funneled to counties classified by the USDA as retirement or resort destinations. For the $42 billion that could be analyzed in more detail, The Post found that about 75 percent was sent to Zip codes within a 45-mile drive of an urban area, as defined by the University of Washington’s Rural Health Research Center. A departing member of the Iowa Environmental Protection Commission wore a white t-shirt to his final meeting Tuesday to express his disappointment with Gov. Chet Culver’s attention to the environment. Commissioner Francis Thicke of Fairfield used the occasion to accuse Culver’s administration of catering to the interests of agribusinesses. “Environmental Protection Commissioner” was printed on the t-shirt Thicke wore to the meeting. But the word “commissioner” was crossed out with a big red “x” and “fired for protecting the environment” was hand-written below that. Thicke suggested that Culver’s environmental platform is run by agriculture groups and Lt. Gov. Patty Judge, the former Iowa secretary of agriculture, at the expense of the state’s environment. “What signal was the Culver/Judge administration trying to send when it ignored the recommendation of the many environmental organizations who called for the reappointment of the EPC commissioners, deferring instead to the dictates of agribusiness special interests who lobbied for our removal?” Thicke asked. Thicke was one of four members of the nine-member commission who were replaced by Culver last month. The commission has been in the middle of an increasingly tense battle over livestock farming, including what to do about the odors, manure and chemical emissions from confinements and feedlots. Francis worked tirelessly on the Iowa Environmental Protection Commission–often taking time off from his farming operation in southeast Iowa to drive to Des Moines for regular meetings. Francis did it because he has a strong commitment to the future of Iowa. Few people have more integrity in all of the work that they do than Francis does, and it is distressing that Democratic Governor Culver did not reappoint him and the three other commissioners to the EPC. One wonders what the rest of the Culver/Judge administration holds for the future of Iowa agriculture and Iowa’s natural resources. On Dec. 1, 2006 Iowa farms had 17.2 million hogs, the most ever counted in a December inventory and the largest number of hogs on Iowa farms since September 1955. One year after the Sago Mine disaster miners are still working with subpar safety equipment. Proposed legislation in Arizona would tax businesses that located in rural areas at a lower rate. Seeking to close the “information gap” between urban and rural, China will launch an effort to open 200,000 libraries in rural parts of the country by 2010. DTN network has purchased The Progressive Farmer from Time Warner Inc, thus expanding their presence in agriculture and rural media. Niel Ritchie argues that unregulated VOIP (voice over internet protocol) could be the key to driving commercial providers into the rural broadband internet business. The water wars move east. The FDA is poised to approve meat from cloned animals for human consumption. Montana joins efforts to solidify a Western Primary early in the presidential primary calender. Domestic organic production is exploding. Or is it? CHATTOOGAVILLE, Georgia (AP) — Poetry Tulip has vanished. So have Due West and Po Biddy Crossroads. Cloudland and Roosterville are gone, too. A total of 488 communities have been erased from the latest version of Georgia’s official map, victims of too few people and too many letters of type. Georgia’s Department of Transportation, which drew the new map, said that the goal was to make it clearer and less cluttered and that many of the dropped communities were mere “placeholders,” generally with fewer than 2,500 people. Some are unincorporated and so small they are not even recognized by the Census Bureau. The news program NOW on PBS traveled to Tar Heel, North Carolina this week to report on the twelve-year long battle to unionize the Smithfield packing plant there. It is the worlds largest packing plant, and is located in a relatively rural part of the state. The United Food and Commercial Workers have been fighting against employer intimidation and other anti-union tactics at the plant since it opened in 1990. “[Smithfield] values the hog and the processing of that hog more than they do the safety and the well-being of their employees,” [long time employee Keith] Ludlum tells NOW. The UFCW is calling for a national boycott of Smithfield products. You can watch the show online if you missed the local playing on PBS. Rolling Stone magazine also has a long feature article this week on Smithfield Foods and environmental concerns associated with the concentration of livestock. Gristmill is running a series on all aspects of biofuels. In a somewhat ironic move the USDA is poised to approve the “organic” label for farmed fish, but not for wild fish. Fruit and vegetable producers in the U.S. don’t get much in the way of agricultural subsidies, but that could change with the next farm bill. In Idaho, State House Democrats walked out of the chambers this week when Republicans refused to give up a key committee assignment to Democrats. Democrats won six additional seats in the State House in the November election. In Florida there may be no such thing as “rural” within 50 years. Military officials are seeking to expand the training base at Fort Carson, Colorado by buying up 400,000 acres of Pinon Canyon (and as much as 2.3 million acres over the next 20 years). This land in rural Las Animas County is home to a deep tradition of farming and ranching. Local ranchers, typically supportive of the Fort Carson base, are now sporting â€œThis Land Not for Sale to the Armyâ€ signs along their property boundaries. Precisely where that additional 418,000 acres will be located is unclear, but the zone the Army is looking at encompasses 1 million acres, perhaps 5,000 people, two entire towns, three schools, two state highways and untold historic sites, including visible wagon wheel tracks on the Santa Fe Trail and dinosaur tracks. For those not in the sites of the expansion, even Fort Carson officials admit that the planned expansion will have little or no economic benefit for the surrounding area. The EU has avoided for too long its WTO obligations … The illegal discrimination against biotech products on nonscientific grounds must cease. Welcome Senator Harkin. Welcome Representative Peterson. Weâ€™re so glad you’re back in charge and working on the important things first. The outgoing chairs were also signatories to the letter. At the Smithfield Packing plant in Tar Heel N.C. hundreds of (and possibly as many as 1,000) nonunion workers walked out in a show of worker solidarity last Friday. Workers involved in the walkout said it was fueled by anger over Smithfieldâ€™s recent decision to fire several dozen immigrants who the company said had presented false Social Security numbers in applying for a job. [â€¦] A number of workers said the discontent stemmed not just from the recent firings but also from brusque treatment, the speed of the production line and widespread injuries. The workers at this, the largest slaughter house in the world, have been fighting for union representation for nearly a decade. Workers are back at work today with promises from plant officials to ease regulations on firing of immigrant workers who cannot immediately provide proper documentation, and to meet for further talks. Wal Mart sells organic. Except it’s not organic. Twenty-one year old college student runs for state legislature (special election) in rural northwest Iowa. The Rural School and Community Trust has a new blog about rural schools and rural education policy. Tom Philpott at GristMill notes that agribusiness giant Archer Daniels Midland’s stock rose on last week’s news that Democrats will control agriculture policy in Washington. Look for status quo on ag policy. In key House races across the country last week, rural voters put Democrats over the top. What does Senator Lincoln do in her role as “Chair of Rural Outreach”? As she did in the 109th Congress, Senator Lincoln will again serve as Chair of Rural Outreach. This position was created in the last Congress as a sign of the Democrats’ strong commitment to aggressively engage and communicate with rural Americans. In this post, Senator Lincoln will continue guide rural outreach for the Caucus and find new ways to reach rural, suburban and exurban American communities. Senator Lincoln has sponsored legislation to support the Delta Regional Authority. She issued a “Rural Report Card” detailing Bush’s failed rural agenda. Senator Lincoln sits on the Agriculture Committee and is part of the Rural Health Caucus. Lincoln was one of the few Democrats in Congress to vote in favor of the 2001 Bush tax cuts. My post below prompted me to research the history of farmers in the U.S. Senate. The following list includes U.S. Senators since 1900 who were also farmers. The parenthetical comments list their occupation(s) as taken from the Political Graveyard and/or the Congressional Bibliographic Directory site. As you can see, many â€œfarmersâ€ were also bankers, lawyers, sheriffs, etc. It will take significantly more research to determine which of these Senators were primarily farmers, and which were bankers who owned a farm. There are not many other Senators who were just farmers, the way Jon Tester has been just a farmer for most of his life. Not many farmer-Senators on this list rose as quickly to the U.S. Senate as Jon Tester has. Most were long-term politicians holding a variety of posts and rising though U.S. congressional positions or governor seats to the U.S. Senate. There is a noticeable decline in the number of elected farmer-Senators about the middle of the last century with only three of the seventeen Senators listed above achieving election after 1950. My sources profess their own incompleteness. If I missed someone, add them in the comments below. Continuing the proliferation of third party certification in the natural meat market, Whole Foods plans to launch their own line of “Animal Compassionate” labeled meat. As long as the standards remain meaningful (a serious concern), niche labels provide a way for small producers to break back into the corporate dominated livestock market. Rural homelessness is on the rise, and new funding sources targeted at ending chronic homelessness flow straight to the big cities. Rural homelessness has always taken a back seat to the more glaring problems in cities. Most studies estimate homeless people in small towns account for about 9 percent of the 600,000 or so homeless nationwide. But local officials and advocates for the homeless in small towns say that economic distress in recent years, including closing plants, failing farms, rising housing costs and other troubles, has left more people without homes and in greater need of help. Real numbers are hard to come by because most rural areas, where homeless services often means ad-hoc help from church groups or volunteers, are far behind a parade of cities taking head counts. Remember Ord, Nebraska? Read this post How Big is Your Townâ€™s Endowment? and then this update from the NYT Philanthropy From the Heart of America. More rural towns and rural school districts should take up the conversation of building endowments to secure their future. It is a battle over the future of education in rural communities. Are more academically successful than those in larger schools. Are more likely to take advanced level courses. Are more likely to participate in extra-curricular activities. In addition, small schools are frequently the glue that binds together small communities, serving as their economic and social hub. Small villages that lose their schools lose more than a buildingâ€”they lose their collective cultural and civic center. For nearly as long as I can remember, administrators of my hometown school (Laurensâ€“Marathon) in rural Iowa have been scheming to further consolidate the already consolidated district. They came close to success several years ago, but things turned south for their plans at a community meeting in the neighboring community we were to be consolidated with. The gymnasium erupted in cheers. The local school board and the superintendent from Laurensâ€“Marathon sat stone-faced on the other side of their table. The Rural School and Community Trust just published a new policy brief (excerpted above) The Hobbit Effect: Why Small Works in Public Schools. I think I will send a copy to the administrators at Laurens-Marathon. “If students have to move away from their rural communities in order to use the things that we teach them, then we are teaching them the wrong things.” – David Nickell, West Kentucky Community and Technical College, at the 69th Annual Meeting of the Rural Sociological Society while speaking on The Death and Rebirth of Rural Sociology panel. I’ve added a link to the Iowa Underground blog. They’ve done a better job than I blogging about agriculture issues over the last month. Check out the post about Smithfield Food and their abuse of fair labor practices, and this post on the Myth of Ag Exports as a solutions to low commodity prices. There are four or five additional posts on the front page that should be of interest to readers of this blog. I am traveling for the next week and a half. I probably won’t blog until I return. Once a week the Center for Rural Strategies compiles an email of rural related news stories for the 80/55 Coalition email list. This week’s email is coppied below, and you can sign up to recieve the updates yourself by following the directions in the posting. 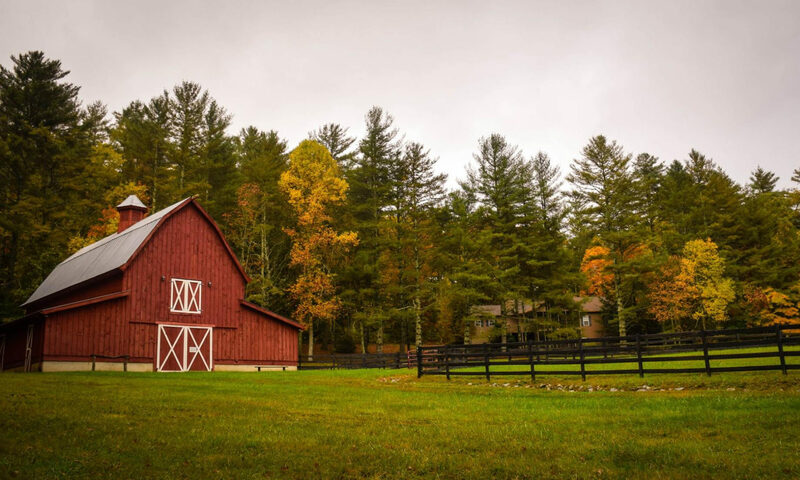 We’re pleased to offer you this compilation of articles that appeared in the national media this week on the subject of rural. The information from these weekly updates is to be used for educational purposes only. Recipients may not repurpose the contents without permission from the source. Please note that links to newspapers may require registration. Thank you! Five miners were killed early Saturday when an explosion about 5,000 feet underground ripped through an Eastern Kentucky coal mine. One miner was rescued. The explosion at the Darby Mine No. 1 in Harlan County occurred near an area that was sealed to prevent the escape of combustible methane, which escapes when coal is mined. The accident was the deadliest in a Kentucky mine since 10 miners were killed in a 1989 explosion at a mine near Wheatcroft. That tragedy led to tougher federal rules governing the ventilation of coal mines. According to MSHA, the mine where Saturday’s explosion occurred, owned by Kentucky Darby LLC, has had 265 citations and orders and $27,651 in penalties since April 2001. Read the story. The imagined new Billerica Mall, with Home Depot as the main attraction, has drawn the ire of scores of Billerica, Massachusetts, residents. But as the neighborhood opposition group Billerica First prepares to mount a challenge against the home-improvement mega-retailer, leaders are hardly swimming in unexplored waters. From the coast of Maine to the desert in Arizona, citizen activists have risen up to keep out so-called “big box” retail chains. “I think these big corporations are trashing small-town America,” said Al Norman, who runs the website www.sprawl-busters.com. “They’re destroying the feel and character of many of these communities.” Read the story. For West Virginians, the tension between the economic push to leave and the emotional pull to return plays a central role in the state’s cultural identity. Ranked behind South Dakota as having the second smallest population growth of any state, West Virginia has struggled to hold on to residents since the early 1950’s, when layoffs in the coal industry sent people elsewhere looking for work. “They say that brown-haired people cross the border going one way and white-haired people cross it the other,” said Bob Henry Baber, the mayor of Richwood, WV. “But the truth is that most West Virginians of all ages come back continually because they don’t feel right anywhere else.” Read the story. Busy lifestyles, an exodus of young people from small towns, and burnout are problems that threaten the existence of rural volunteer ambulance squads. In the past year, three ambulance services have shuttered in North Dakota, a state where about 90 percent of EMTs are volunteers. About one-third of the state’s 141 ambulance services are at risk of the same fate. EMTs and officials worry the shortage could hurt the quality of health care, forcing people to wait longer before an ambulance arrives. Read the story. They come from Chillicothe, Carrollton, Trenton and other central Missouri towns better known for their hog farms and meat packing plants than as a fertile spawning ground for musical virtuosos. Doctors, lawyers, teachers, housewives, retirees or third-shift workers, they share a singular bond: a commitment to orchestral and symphonic performance that has made Marshall, with just over 12,000 residents, a classical musical Mecca. Read the story. I’m not blogging because I am reading this book. H.A. Wallace was, of course, a native Iowan, former U.S. Secretary of Agriculture, Vice President and third party presidential candidate (among other things). The book is 600 pages long. It might take me a few days. A poem by U.S. Poet Laureate Ted Kooser from Flying at Night. And the winters cold, say the narrow country road. a doll in overalls. Something went very wrong, they say. A picture from Gone: Photographs of Abandonment on the High Plains by Steve Fitch. A kitchen in an abandoned farm house near Regent, western North Dakota. The Department of the Interior is backing off of their earlier plan to sell off pieces of national forest land to provide funding for rural schools in former logging communities. The payments are the result of federal legislation designed to offset declines in local tax bases in the wake of new federal forest policies in the 1990s that restricted logging on federal land. The Department will look for other funding sources. Maybe I should make a new category for “unbelievable.” From today’s Washington Post. Career appointees at the Department of Agriculture were stunned last week to receive e-mailed instructions that include Bush administration “talking points” — saying things such as “President Bush has a clear strategy for victory in Iraq” — in every speech they give for the department. Unfortunately, this is apparently not a joke. The e-mail, sent to about 60 undersecretaries, assistant secretaries and other political appointees, was also sent to “a few people to whom it should not have gone,” said the department’s communications director, Terri Teuber . The career people, we are assured, are not being asked to spread the great news on Iraq in their talks to food stamp recipients, disadvantaged farmers, enviros or other folks. So we know about this because they admittedly and accidentally sent their email to some career appointees who presumably leaked the email and associated documents. Notice however, there is no denial of the more basic point that political appointees at the USDA are being asked to incorporate talking points about Iraq into their speeches. Good thing the White House attached (pdf) some suggestions on how they might do this. Glad to see we’ve got our priorities straight at the USDA. While we are at it maybe we can just roll the upcoming farm bill into the next Iraq appropriations bill. Oh wait, we’re already doing that too. I just upgraded from WordPress 1.5 to WordPress 2.0.2 and changed my layout files. The fact that you can read this is nothing short of amazing given the number of files involved. I’m pleasantly surprised that it seems to have gone off without a hitch. I’ll be tweaking some design things for a couple of days. I will resume blogging here as soon as the academic semester is over. In the meantime, some might find the below list interesting. It is all of the search terms that led people to this website since the first of April. pictures of country roads rural highways etc. Lots more below the fold. I have temporarily disabled comments due to uncontrollable spam that I donâ€™t have time to deal with right now. The ruins of a homesteaderâ€™s cabin in New Mexico lie in a county with less than one person per square mile, a density akin to Greenland. Throughout much of the Great Plains, farm families continue to lose their most valued cropâ€”the next generation of farmers. From a feature story in National Geographic Magazine. Jim Richardson, photographer. In response to a shortage of dentists in rural Alaska, local leaders decided to send Alaska natives to New Zealand to be trained as dental therapists. The first eight trainees are now helping to perform basic dental work in remote areas of the state. The American Dental Association (ADA) isn’t happy about it. Rural areas need to seek creative solutions to deal with the low numbers of healthcare providers in their areas. Dental therapists (good enough for New Zealand, Canada, Australia and Great Britain) should be a part of the solution. The ADA is also taking their fight to the U.S. Congress where they hope to limit the spread of the program beyond the state of Alaska. I spent two years in Larimer County, Colorado. During that time the County Clerk and Recorder was launching a first-in-the-nation experiment. Instead of having precinct polling locations, Larimer County received special permission from the state legislature to consolidate their 143 precinct polling locations into just 20-30 (depending on the election) “voting centers.” You can read more about Larimer Countyâ€™s experiment here. I worked on a Colorado State House campaign while in Larimer County (we lost by 480 votes, and the candidate, John Kefalas, is running again). That experience allowed me to have an up close and personal experience with many aspects of the voting center model. The result is that I am more than a bit conflicted about the new model. If forced to decide today, I’d say “no” to the expansion of the model. That’s a post of another blog at another time though, and the fact of the matter is that the vote center idea is catching on. As vote centers expand to other counties in Colorado as well as to other states, one question that must not be overlooked is the possible consequence for rural areas where precincts are already sparsely located. So, while there are some good arguments for consolidating some urban voting locations, efforts should be made to ensure that the implementation of the voting center model does not result in longer drives on election day for rural residents. The Rural Sociological Society website is newly redesigned. Theyâ€™ve made nice organizational and aesthetic improvements. A town that once rated a visit from President Calvin Coolidge in 1927 was strong enough to ride out the Great Depression that followed. But hard times finally took their toll on the Great Plains. Today Ardmore, South Dakota, is a ghost town. The second google result for Gold Creek, Montana directs you to a ghosttowns.com page for the town. The third result indicates that the town had a population of 35 in 1939. Yesterday the one room school house in Gold Creek was featured as part of the series on one room school houses on NPR’s Morning Edition. Gold Creek, Mont., has no stores, gas stations or bars, and its one church is closed. But it is rich in grazing land, and it still has a one-room school. It’s a tiny community in Powell County, on the western slope of the continental divide, once famous as the first place gold was discovered in Montana 150 years ago. And near here, in 1883, the Northern Pacific Railroad completed its east-to-west connection. But, like much of the state, Powell County has seen economic boom and bust. The mining and cattle ranching that once made it prosperous no longer sustain its people. Today Gold Creek is one of several small communities in the county that’s struggling to hold itself together. Jobs are scarce and young people are leaving the county to find work. At Gold Creek School last spring, teacher Kim Tozzi had six students, in kindergarten through sixth grade. Read more, see pictures and listen to the feature story here. The rest of the series is here. The series continues through June. My parents taught in a two room school house in Galata, Montana in the 1970s. The school is still open, and I visited it on this trip. This is from last week when I wasn’t writing. Forty-two percent more fatal crashes occur in rural parts of the country than on busy stretches of highways through cities and suburbs, the National Highway Traffic Safety Administration reported last week. The story has been covered elsewhere, so I’ll leave it at that. Reminder: You can now sign up for weekly updates about new content on this site. A new report written by Iowa State Economics Professor Robert Wisner and commissioned by the Union for Concerned Scientists examines the potential benefits and risks of pharmaceutical crops for farmers and rural communities. The report website is here. To gain support for pharma crop production at the state level and state subsidies for their industry, pharma crop proponents have touted the substantial benefits that these new crops would bring to farmers and rural America. However, these claims were never backed up by economic analyses. To fill this gap, UCS commissioned Dr. Robert Wisner, University Professor in the Department of Economics at Iowa State University, to take a close look at the economic benefits and risks of pharma crops to growers and rural communities. Dr. Wisner, one of the nationâ€™s leading agricultural economists, found some drug and biotechnology companies may profit from â€œpharma crops,â€ but farmers and rural communities are likely to see few if any benefits. After careful review of Dr. Wisnerâ€™s report, UCS concludes that pharma crop proponentsâ€™ claims are inflated and, importantly, whatever benefits do materialize, most farmers will not be major beneficiaries. I’m reading through the report summary now, and it seems to be well done.